Are you stuck on what to buy your Girlfriend, Wife, Sister, Friend, Auntie, Grandma, Daughter? 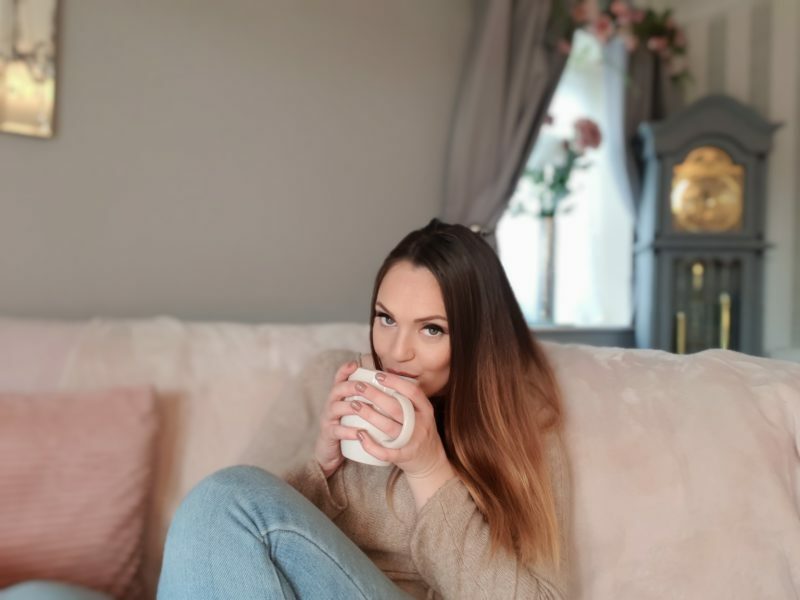 Have a browse through my gift guide and check these stunning gifts out, also make sure to check their websites out for more on their ranges. 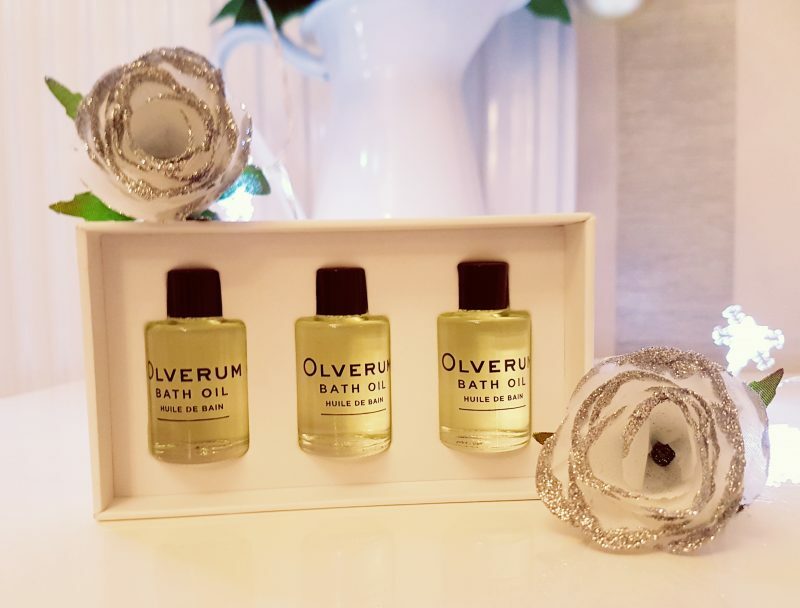 First on my list is *The Olverum Bath Oil travel set. Each bottle contains 5ml which is enough for 3 luxurious baths each. Olverum literally is ‘hygge’ in a bottle – such a deeply soothing, relaxing and uplifting treat, which will help you achieve a great nights sleep. Olverum would make the ideal gift for the discerning lady or gentleman. 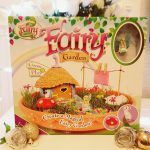 This set is £19.00 and can be purchased from here and is also available from a range of stockists, which can be found on their website. Do you have a Big sister ‘Ahem Tash’ who LOVES her Gin? Why not treat her to this beautiful *Gin and Tonic infusion set from Sous chef, all you need to do is add the Gin. 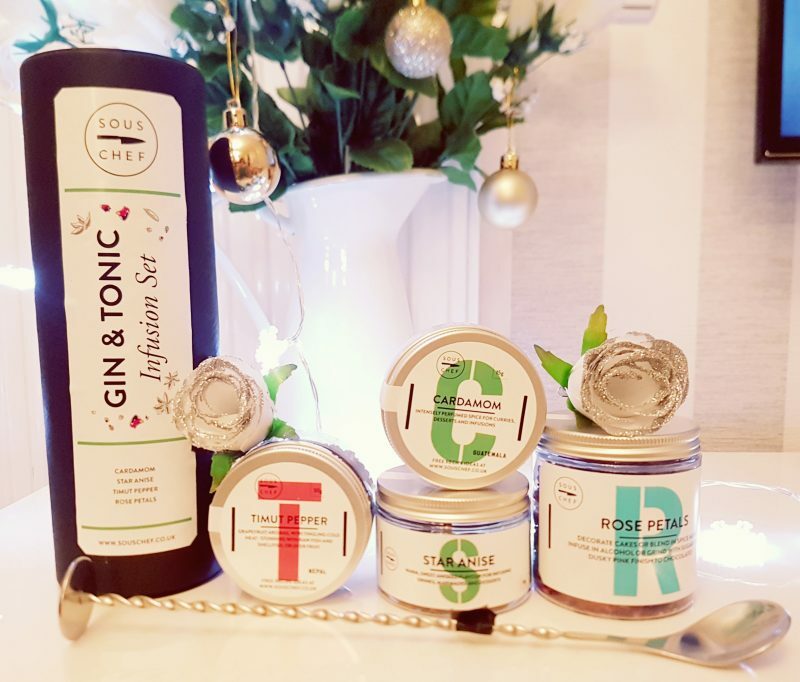 This set includes Timut pepper, star anise, Cardamom, rose petals and cocktail spoon and masher. 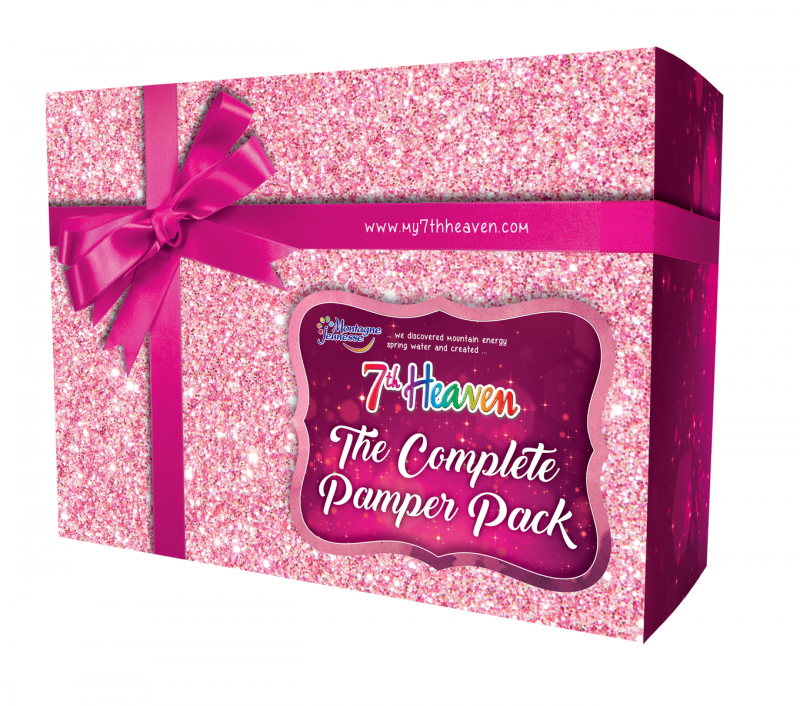 This beautiful set costs £17.50 and is available to buy here. Where is a torch when you need one? This *Tough torch from Jml is brilliant and comes with a carry case to keep it protected. It has 5 beam modes, sits easily in your pocket or purse, adjustable spotlight to floodlight and up to 6000 lux, 14x brighter than ordinary torches. 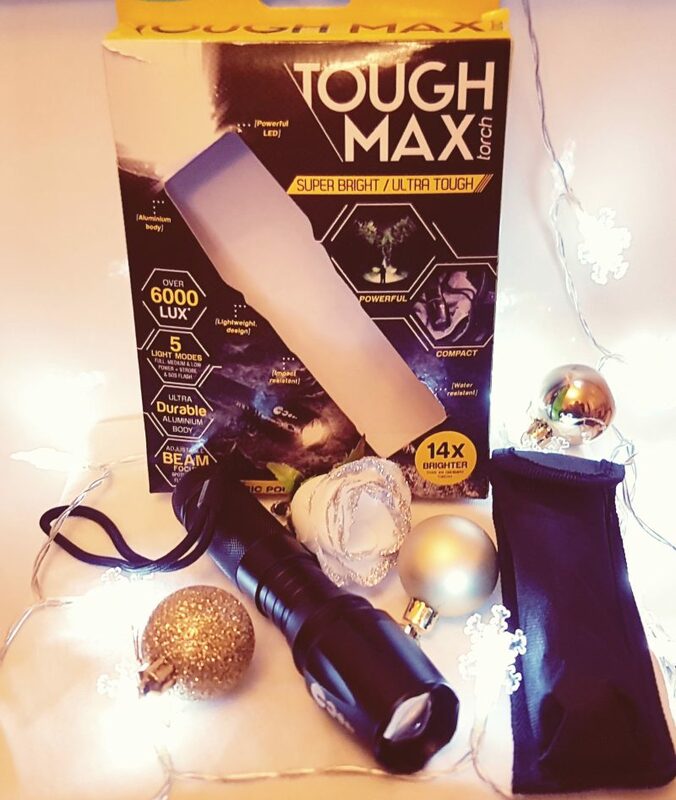 The Tough Torch costs just £19.99 and is available to buy from here. 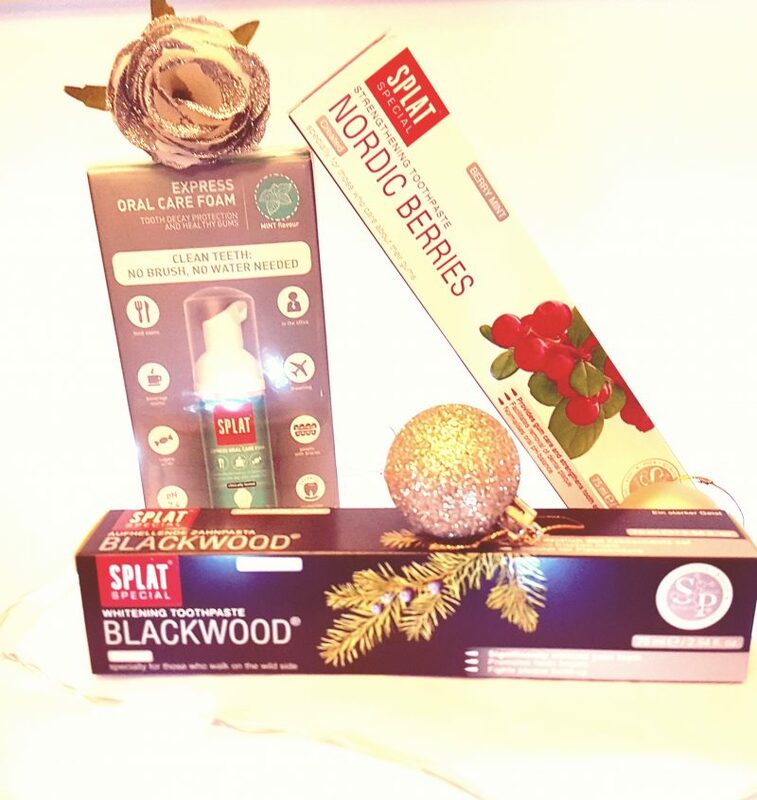 If you are like me and are obsessed with Oral care then Splat oral care is the way forward. In my photo, you can see the *Blackwood whitening toothpaste which is fluoride free, contains activated charcoal and is also Vegan-friendly. This costs £7.95 and you get a 75ml tube. Then we have the *Express Oral care foam which, may I add is brilliant! This costs £5.95 for a 50ml bottle. This is great if you’re on the move as you don’t need water, as it just freshens your mouth up after a meal if you cannot get to your toothbrush. It is a brilliant idea for all my friends wearing braces out there. Then we have the *Nordic berries strengthening toothpaste which comes in a 75ml tube and costs £7.95. The Nordic berries is a very effective toothpaste with 14 active ingredients. In fact, it would make a perfect present for older people as this is when they start seeing these issues. So maybe a toothpaste for your Grandma? You can buy this amazing set here. Now, I absolutely love Nelsons range. The first Item I ever bought was the Arnicare cream that helps the healing process of bruising for when I had my double jaw surgery, it was brilliant. 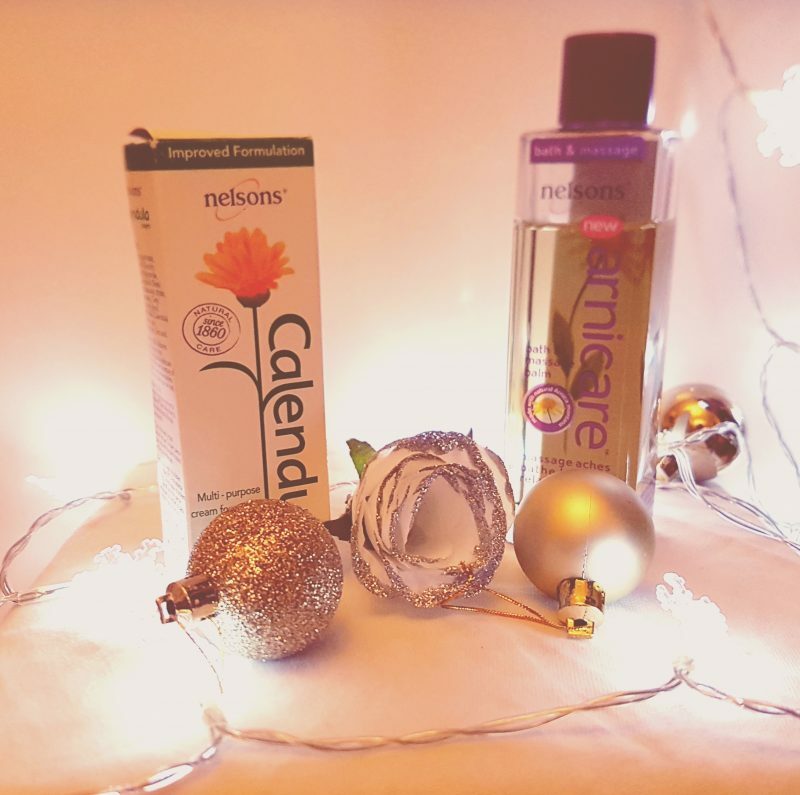 When I was offered to sample some different products from Nelsons, I jumped at the chance and chose the *bath and massage oil, of course. It is a dual purpose balm enriched with Evening Primrose and rich Sweet Almond oil to naturally hydrate the skin. It can be used in the bath or massaged into tired skin.This product only costs £8.55 and can be purchased here. Then we have the *Calendula hand cream containing natural extract of calendula, which is known for its skin conditioning properties. This will make an excellent stocking filler for either men or women and only costs £5.09 available to buy from here. 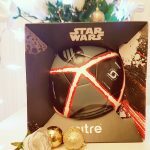 Make sure to check out my Christmas gift guide for boys here and girls here for some more amazing ideas. Yes! Why wouldn’t you treat a sister called Tash to gin related goodness? Great gift guide!